With acumen, experience and compassion, Gary B. Rogers advises clients during some of the most difficult times of their lives. He recognizes the complexities of family law matters that can include separation and divorce, and he works to minimize the deleterious effects legal issues can have on a family. Whether counseling clients on custody issues or negotiating the distribution of assets, Gary dedicates himself to finding the best resolutions for his clients and their families. 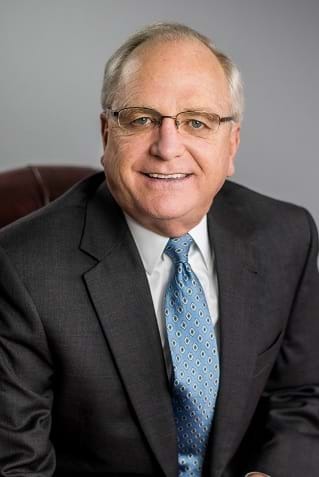 During his 35-year career, Gary has represented clients in an array of issues relating to family law, including divorce, child custody, spousal support, adoption and guardianship. As a trained litigator, he can successfully advocate for his clients in court. He also has helped many clients achieve their desired outcomes through mediation and arbitration. The needs and goals of each client shape the legal strategies he creates to help them achieve the best outcome possible. Clients and peers alike respect his legal ability and ethical standards. He received the Preeminent AV rating by Martindale-Hubble and has been listed in The Best Lawyers in America for family law. His impressive legal career also includes serving as a special justice on the Arkansas Supreme Court. Gary and his wife live in North Little Rock. They have two children and three grandchildren. Gary played college baseball and is a diehard St. Louis Cardinals fan.